Learn how to Chase Down the Lions in your life in this introspective teaching from Dr. Bob Rodgers. Discover the 4 Principles to fasting and prayer that can revolutionize you life today. This 4 CD teaching set includes the Music and Scripture reading CD My Time with Him. Targeted Prayer includes the teaching on prayer by Bob Rodgers and his newest book on prayer Six Reasons to pray. Discover how fasting and prayer can take you to your destiny and how sometimes your closer to your breakthrough then you think. 3 Teachings from Dr. Bob Rodgers on Fasting and Prayer to help you understand even more about fasting and prayer. 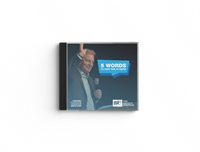 Discover the power of your words and what the bible says can hinder your miracle from God. 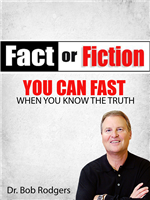 Fact or Fiction Bundle includes the 2017 Jubilee Fast Magazine + Dr. Rodgers teaching Fact or Fiction "7 reasons you need to fast this year and how fasting is for today"
IT'S TIME TO TAKE THE BATTLE TO SATAN / In this new Teaching From Dr. Bob Rodgers see how you have power over the enemy and have had it all along. Stop Fighting and start taking authority. Did you know every prayer you every need to pray can be found in the Lord ’s Prayer. Dr. Rodgers teaches how many hidden prayer patterns are found in the lord’s prayer. Discover How Adam And Eve Caused Sin to Enter the World. Plus Dr. Rodgers Shows you how the great sin lives in us all until we are Born Again. The Bible is a book of Stories but in this one place int he bible there is the story of 3 diffrent people that show the truth of Gods Grace. 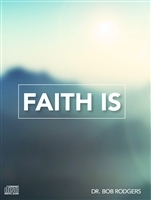 It's Time to Exercise your Faith/ you have been a christina long enough to know that god wants you to have great faith. Throughout the bible men and women had great faith that would move the hand of god on there behalf. 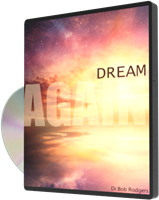 Now you can learn how to Grow your Faith and experiance the best god has for you. and through the power of fasting and prayer as a lifestyle you will do just that. This teaching includes 7 tips to help you with fasting and a time of prayer that will change your life. 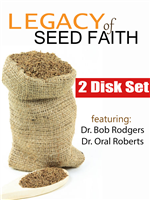 Unlock the power of faith in this all new teaching from Dr. Bob Rodgers / Discover the secrwet to activating your faith and understand the different types of faith found in the bible. 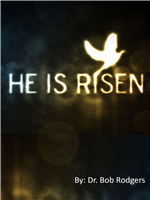 Discover how one man went from the bottom to the top and all because he served the lord. Plus discover how you can find yourself in the story of Joseph and what that can mean to you. 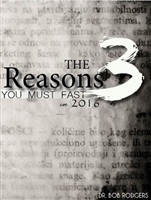 Dr. Bob Rodgers explains why you must fast this year more than any other time in history. And how to make fasting part of your lifestyle every day. unlock the power of fasting and prayer and experiance all God has for you.